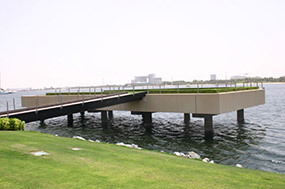 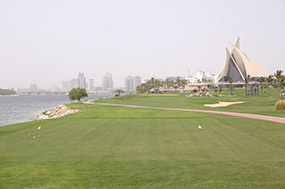 The golf course at the Dubai Creek Golf & Yacht Club was first designed by Karl Litten in 1993, its front nine later redesigned by European Golf Design and Thomas Bjorn in 2005. 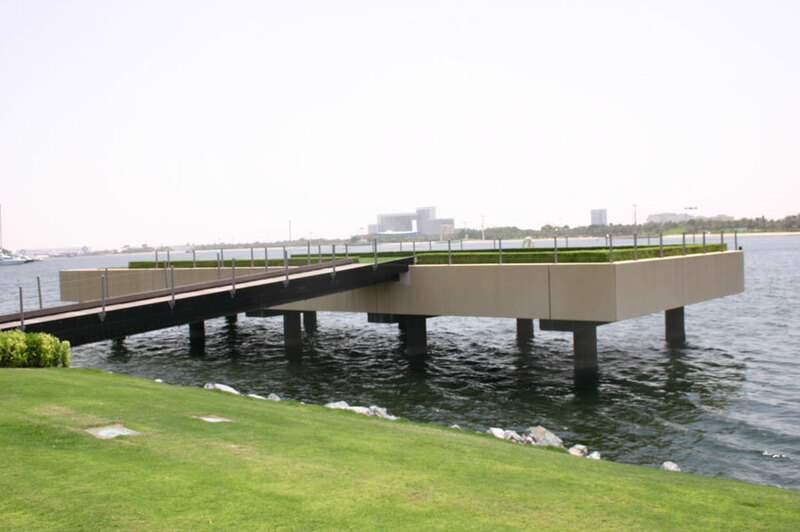 Built partly along Dubai’s main natural creek, the course is now full of artificial lakes and mounding and a big disappointment considering how much money has been spent here to get things right. 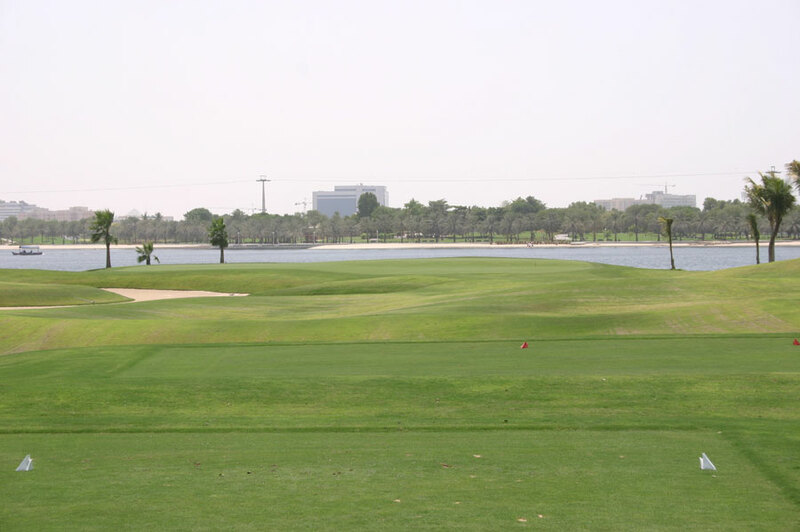 Clearly, the focus has been on ensuring good turf conditions, and that the layout looks nice in a photograph. 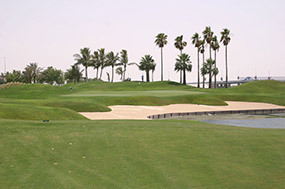 There is a complete lack of quality among the holes, however, and some of the design decisions defy common sense, such as building a back tee on a podium in the creek, as was done at the 6th, but then setting the hole to bend against the diagonal line of the hazard, meaning the more water you cut off the further you are from the green and the worse your angle of approach. 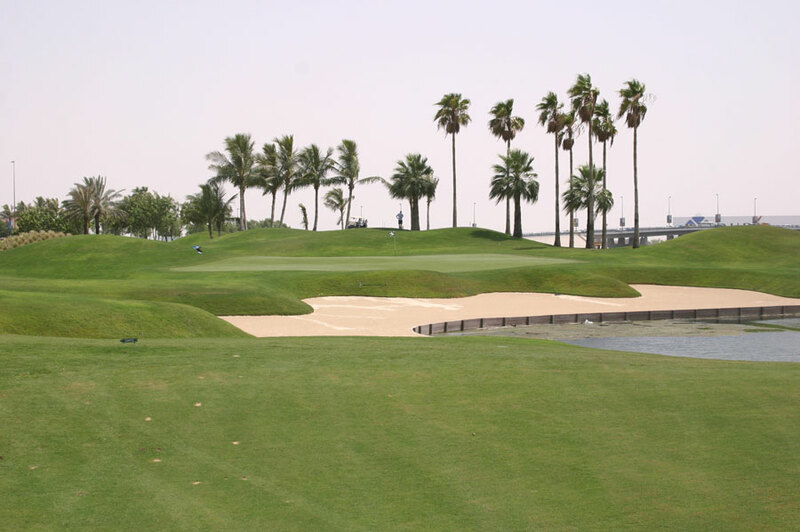 Most of the other holes lack interest as well and are generally full of medium sized mounds, spirit-level flat bunkering and either soft, boring greens or those with overly contrived wobbles. 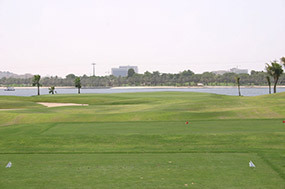 None of the putting targets are shaped with any great thought as to how they may increase the strategic nature of the preceding hole. 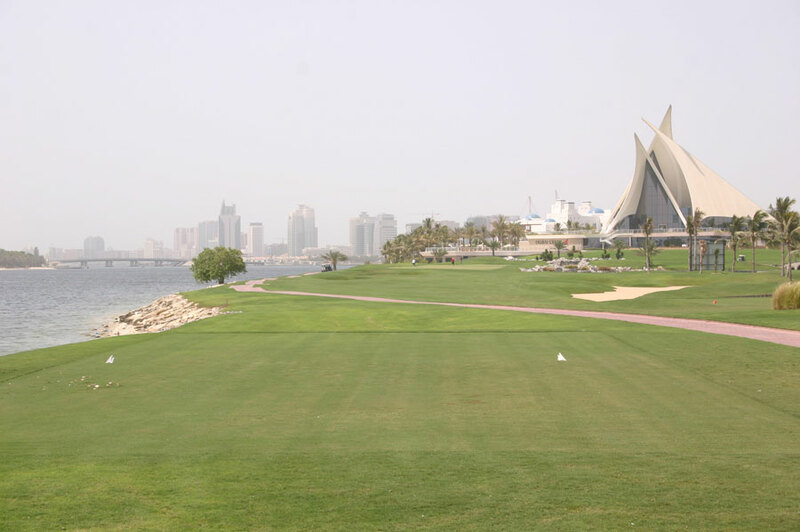 Sadly, the general design philosophy employed here is not what you would expect in a more sophisticated golf market, the Bjorn/EGD changes, in fact, seem more about getting houses around the fairways than making this a worthwhile or interesting golf course.